A new discovery about how exercise helps protect us from disease could one day dramatically reduce the death rate among the sickest and most gravely injured. People suffering from severe trauma or the full-body infection known as sepsis often develop multiple organ dysfunction syndrome, or MODS. It’s as though the immune system turns against the patient, attacking the vital organs instead of the infection. MODS is a primary cause of death in intensive care units, killing up to 80 percent of patients who develop it. Frustratingly, doctors know little about why it occurs, and nothing can be done to stop it. But the new discovery from the University of Virginia School of Medicine could change that. 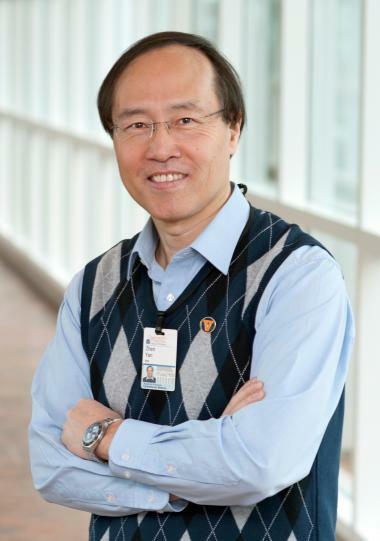 “This data suggests if everything is true, if this can indeed provide protection against sepsis and multi-organ dysfunction, that would imply that 80 percent of deaths in the clinical ICU could be cut in half,” said UVA researcher Zhen Yan, PhD, a faculty member in the Division of Cardiovascular Medicine. Yan’s research in mice suggests that skeletal muscles naturally make an antioxidant that helps get rid of excessive free radicals, unstable atoms that can damage cells. The antioxidant, known as EcSOD, is one of the mechanisms by which exercise protects the body from disease, his findings show. “This data really provides direct evidence that a humoral factor, a factor carried in the blood circulation produced by the largest organ of the body, ‘knows’ intelligently where to go and really provides protection where there is crisis,” said Yan, of UVA’s Department of Medicine and UVA’s Robert M. Berne Cardiovascular Research Center. The new insight into the role of this elegant antioxidant that is produced by our body may let doctors rein in the excessive and damaging immune response. “If we understand the mechanism, we may be able to strategically and intelligently design better pharmacological interventions and genetic interventions,” Yan said. The researchers have published their findings online in the scientific journal Free Radical Biology & Medicine. The paper, “Muscle-derived extracellular superoxide dismutase inhibits endothelial activation and protects against multiple organ dysfunction syndrome in mice,” was authored by Jarrod A. Call, Jean Donet, Kyle S. Martin, Ashish K. Sharma, Xiaobin Chen, Jiuzhi Zhang, Jie Cai, Carolina A. Galarreta, Mitsuharu Okutsu, Zhongmin Du, Vitor A. Lira, Mei Zhang, Borna Mehrad, Brian H. Annex, Alexander L. Klibanov, Russell P. Bowler, Victor E. Laubach, Shayn M. Peirce and Yan. The work was supported by the National Institutes of Health, grant R01GM109473, and the American Heart Association.